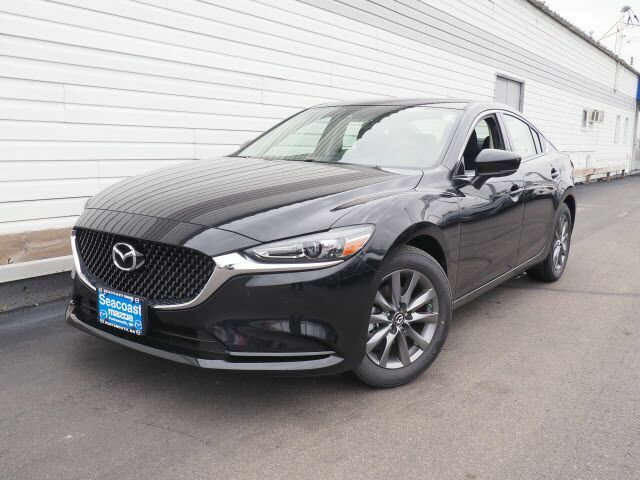 Armed with a push button start, backup camera, blind spot sensors, Bluetooth, braking assist, dual climate control, a power outlet, hill start assist, stability control, and traction control, you won't be able to get enough of this 2018 Mazda Mazda6 Sport. We're offering a great deal on this one at $22,845. You can trust this sedan because it has a crash test rating of 5 out of 5 stars! It has the best mileage with 24 MPG in the city and 33 MPG on the highway. Rocking a dazzling black exterior and a black interior, this car is a sight to see from the inside out. View this beauty and our entire inventory today! Call for more details. Contact Information: Seacoast Mazda, 180 Spaulding Turnpike, Portsmouth, NH, 03801-3139, Phone: (603) 436-6811, E-mail: sales@seacoastmazda.com.